Converse’s Auckland Racer was made famous in recent years when iconic fashion house Missoni put their textiles on it. Continuing the tradition of using unique materials for the low cut sneaker, Converse went to Japanese terry cloth for the latest make up of the shoe. 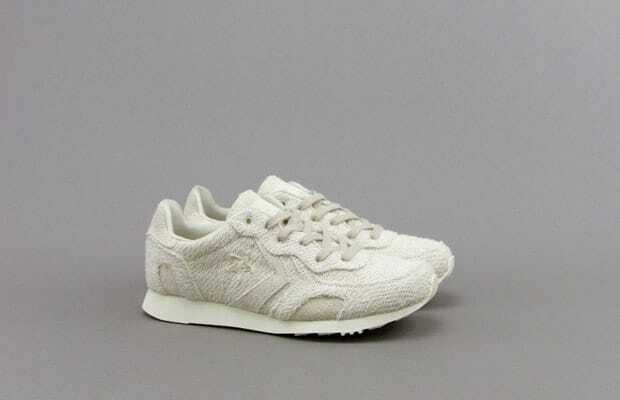 Featuring an upper made entirely of off-white terry cloth (“oyster”), the soft looped texture is broken up only by a single unit sole. Even the Converse chevron and star, and the tongue, are made up in the plush cotton. If you need some terry on your feet to match the rest of your head-to-toe John Elliot alphet, these kicks are on sale at Blends for $50. Cop while you can.